We held a quick vote yesterday to gauge how Newcastle fans felt about Newcastle possibly getting Darren Bent for say £5M. And to our surprise, with almost 3,000 votes in (one vote per reader), 66% think he would be a good buy at £5M. There’s really no way to know at the moment whether he’s a serious target , although the Evening Chronicle is saying he could be – at the right price. It seems that if Newcastle can get him at a good price with both the fee and the wages, then there’s a chance – but it’s probably a slim chance because Mike Ashley would need to be persuaded that he would be a good acquisition for the money. The last time Mike was persuaded to go against his policy of only signing players 26 years old or younger – Sol Campbell – was a disaster. Once bitten – twice shy – as the saying goes. There’s still time to vote if you haven’t done so already. Should Newcastle Pay Out £5M For Darren Bent? Tactics and coaching philosophy are the foundations of the team, whoever the players are. Whether they are good, bad, or average. Injuries, bumpy pitch etc all come after this foundation set. So, if the basics aren’t right, complaining about who is injured or whatever other excuse Pardew pulls out is wrong as it’s just masking the poor nature of the football we’re subjected to. That is the first thing which we should see positive signs with, players moving a certain way in response to others, style of passing, confidence in possession. The team is playing off the cuff in attack, very little planning and understanding. That MUST show evidence of development before any excuse can be believed, but it doesn’t. We rely on flashes of quality to nick us points. On getting a technical director in… whatever initiative he sets up, Pardew will still set the team up his way, pick who he wants, and instruct them how he wants. He is the manager, so he can do what he wants, whether a technical guy comes in or not. It’ll be his decision whether he wants to put Shola on with half an hour left and bombard him with punts up field, just as it will be with who he wants to bring off, namely Gouffran, no matter how effectively he has played. Just as he’ll persist with out of form Tiote and Jonas yet leave a highly capable player in Anita on the bench. The effects of a technical director wont have as much of an impact as the potential to which it could because Pardew calls the shots. If he doesn’t, then whats the point in having him there in the first place? Apart from a media buffer for Ashley’s own objectives. Can’t believe people actually want this guy! What a waste of money, what is peoples reasons? I actually can’t think of a benefit, granted he is probably better than shola but who the hell isn’t. I would rather play Adam Campbell. Best has a proven track record of scoring goals in the Premiership. Robin Van Persie is 29 years, almost the same age. So age doesn’t necessarily diminish goal scoring. However, the question remains as to why Villa rarely, if ever, wanted to play him even when they were in such trouble and likely to be relegated. 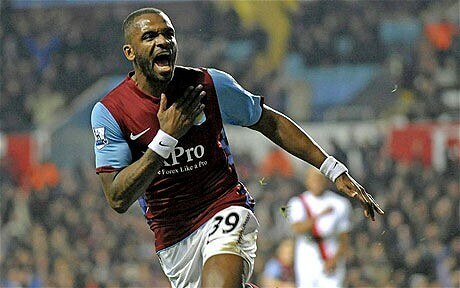 Unless we start creating more chances for our strikers its pointless bringing in a poacher like bent. Bent alongside cisse won’t solve the problem of cisse being isolated it’ll simply isolate another player. What we need is more creative players mainly wingers. Failing that a quick or strong striker who can create their own chances. We want players ed, we trust our scouting team. These players are good, aubameyang,wilfred bony are beast. And Bent is proven striker. I d like for us to get darrent bent for 5mill and andreas cornelius for 4m if its possible. I don’t want this pr!ck in Newcastle… the same for his old pal the tactical genius Pardeaux. What has happened to my beloved Newcastle gents??? I mean Darren Bent FFS, come on…no man….why aren’t we finding the Asprillas of the world anymore? Bent has one of the best scoring records in the Premier League, is about to hit his Prime, Wants to play for us, Is cheap!! Right so why would we not want to sign him?????? We need players like Bent, Scott Sinclair, Tom Ince, Will Hughes to give a better back bone to the club. It’s just as well that the 66% have no direct influence on who we buy or we would be in a bigger mess. Of course it would still be Pardew’s/Ashley’s fault though. Of course we must also remember that the 66% represents only a portion of readers of this blog and not the percentage of proper fans. i would say 66% is perfect tbh. like someone said bent is “proven” and has allways scored + he’s english and 5mil for someone who can score the same amount as most prem strikers even at 29 is a bargain. i would take him for 5mil. hehe love the fact that “true nufc fans (cough)” are turning on other nufc fans just because they see things differently from them ! maybe instead of crying 66% dont know what they are talking about maybe you should “debate” instead of calling your fellow supporters. Yes ,I would have him,providing he is our second choice striker we sign. If he is supposed be one of our so called purple or blue hip players,then no thanks. Once again I wonder who started the Bent story, some bored sports jounalist who has nothing to do now the season is finished.Another reporter stated that his Toon source said there was no way they would sign Bent, so who do we believe.After all if Toon stick to their policy of only bying players who have a sell on for profit.then Bent certainly does not fall within that category. 66%? Wow…… er No thanks. Bent is a sulking mercenary. 100% do not want him at NUFC! No doubt he has talent you have to wonder why this guy fell from grace so fast his private life and additute are very questionable id rather have shane long any day. 66% must be out of their minds! Why? He represents everything we are supposedly trying to get away from- older past it players who don’t give a monkeys about anything but a big pay day! Not to mention the bloke is a complete t*at. Yes he is a slight upgrade to Ameobi but you know fine well if we bring in Bent then thats the only striker Ashley will get this summer! Pathetic, as per f*****n usual.